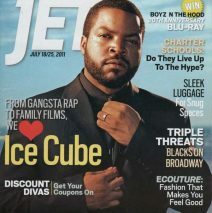 SAMAAP featured in Jet Magazine | S.A.M.A.A.P. The article below titled Sights and Sounds of Black Panama, was recently published in JET Magazine (July 18/25, 2011, page 37), on the initiative of CyberNews Subscriber and SAMAAP member Sonia Banner (Atherton-Ibañez). As a result of this article our West Indian Museum (www.samaap.org), supported by SAMAAP, has been receiving more visitors and inquiries. We recently had two vistors from Michigan (Eleanor Walker and Jeana Harper) who saw this article, visited the museum, made a donation and are now members of SAMAAP. We thank Linda Perry (New York) and Cynthia Lowe (Florida) for bringing this article to our attention and making the magazine available for the Panama Cyberspace News. Museo Afro Antillano de Panamá: Open Tuesday-Sunday, this museum pays tribute to the 30,000-plus Black West Indians who made up the vast majority of the Canal’s foreign laborers — and many of whom died doing this dangerous work.